Its time to remedy that. I still don’t use eye cream a lot. I don’t have chronic dark circles (mine go away if I have enough rest) and I am lucky that crows feet or lines around the eyes aren’t existent or if they exist, aren’t prominent. I guess I’m lucky to be made that way 😛 But over the years, I’ve only really ever found one eye cream that I liked enough to repurchase, and which I thought worked well enough for me. 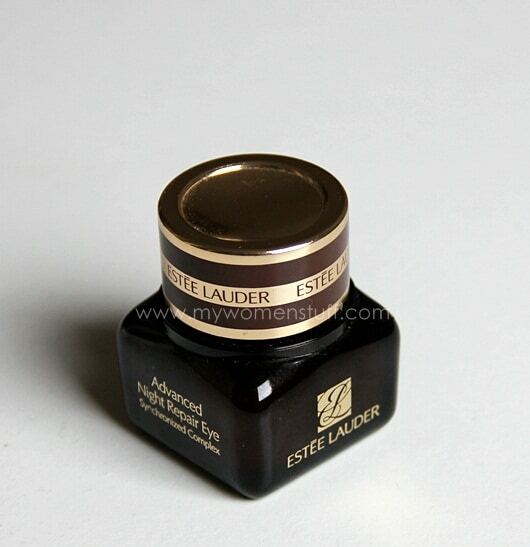 Its the Estee Lauder Advanced Night Repair Eye Synchronized Complex Serum. A mouthful of a product name, that I have used for quite a few years. The amount you get from dipping the ball into the serum is enough. So, pricey as it is, this one 15ml tub can last me at least 6-8 months. Ah yep! 😀 One little splurge a year won’t kill me and I tend to make sure I collect my department store card points and take advantage of GWPs etc etc etc so its all good. I like that its very light in texture so it absorbs very quickly and leaves my eye area feeling hydrated and velvety and a little cool. It also isn’t oily, unlike some eye creams and it does not result in the formation of any milia or oil seeds around my eye area. There is a slight scent that I find soothing. This is about the only eye cream I’ve repurchased and use diligently (because its so light) and I know it does not work for every one. But it does for me. So yeah. If you are looking for my recommendation for an eye cream, this is it. I have no other. Do you like this one too? Or perhaps you don’t believe in paying so much for an eye cream? Or perhaps you just don’t like it at all? The Estee Lauder Advanced Night Repair Eye Synchronized Complex Serum retails at RM190/15ml at all Estee Lauder counters. NEXT POST: Saying Hello! to the Clarisonic Mia – I hope you’re good to me! Hiya Issa! You serious? I actually recommended you this waaaay back? LOL Its the only eye product I use really. I can’t seem to get anything else to work. Can you try to snag a sample from the counter… you know just to see if it might work for you or give you milia? Haha… I know exactly what you mean you know. The Strivectin works for me but its just too expensive to upkeep and this one is more affordable and does the job so yay! I love this, but it’s burning a BIG hole in my pocket! I don’t like the spatula though, but that’s just me. I wish I could use it. I got a sample jar of this about a year ago, and it actually caused the skin area around my eyes to start flaking. I stopped immediately and haven’t dared try it again since. Aww… perhaps the ingredients didn’t suit you 🙁 Sorry to hear that! I used to use it in my 20s, but the formula changed over the years I guess. Now I’m using the range from Re-Nutriv, what to do? I’m getting older. LOL! I heard this eye cream is really good! Now reading this from you I totally believe! So it works for dark eye circles for you? Thanks for reporting in! 😀 Pricewise I think its ok too because it lasts so long but the initial outlay is painful! The thing is, i dont have much problem with my skin elsewhere. Only at the eyes area. Urgh! 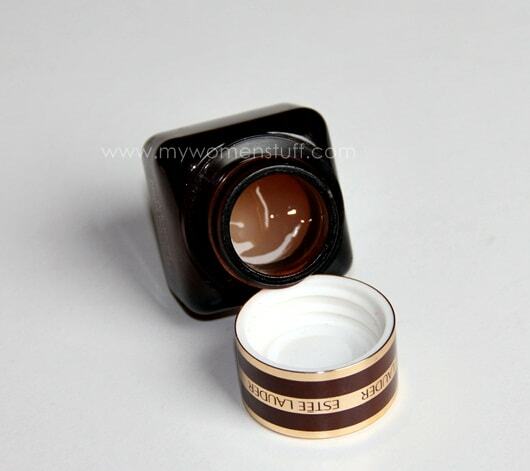 Works well in the morning, my concealer still stays put for 8-10 hours, if i don’t rub my eyes. Been using it for the last 5 years. I think I have a sample of the Clinique All About Eyes lying around. I thought it would be similar because of the light texture. Maybe I’ll go take a look. So sorry to hear about your skin – the organic products aren’t working? lol so funny. the spatula, i hold the ball end and dip the other end into the serum. i was confused at first but it feels like i’ve been doing it right until i read your post. lol…. yeah….. i also love this eye cream but it will be superb when we used together with ANR serum (make the whole face velvety) Before this i already try so many brand from medium to expensive product but i found this one really work for me. Worth to try gals!!!! Good to know that its working for you too! I’m also back to using the ANR Serum now. I like the Garnier yellow tube you can buy in Singapore (and Malaysia too I guess) – I think it might be whitening/brightening? I like my eye creams cheap or free with purchase! Heard tons of raves for this eye cream. Now that you’ve raved about it and since we usually like the same prods, it’s definitely going on my “must try” list!